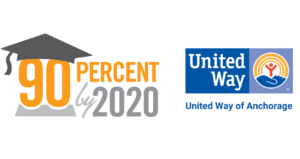 We all have a role to play in reaching a 90% graduation rate by 2020. 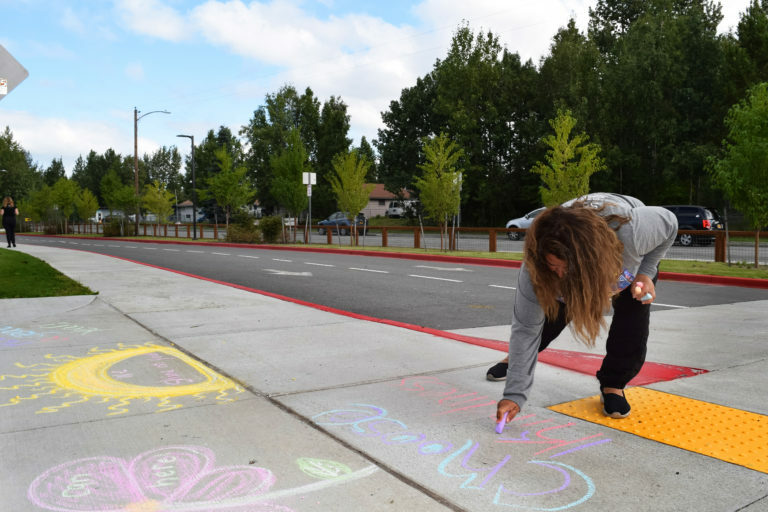 You can help boost student success in and out of the classroom by letting our community’s kids know you care. 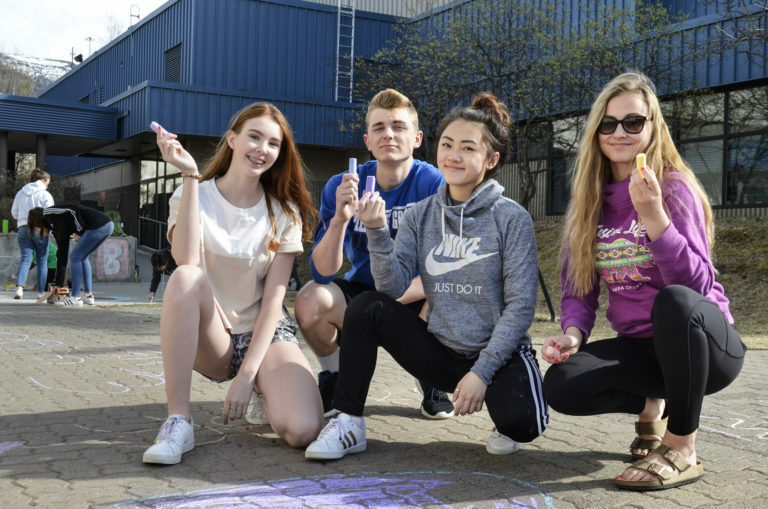 Through graduation station, attendance champions and events like Chalk the Walks and Grad Blitz, you can help spread the word in fun and interactive ways. 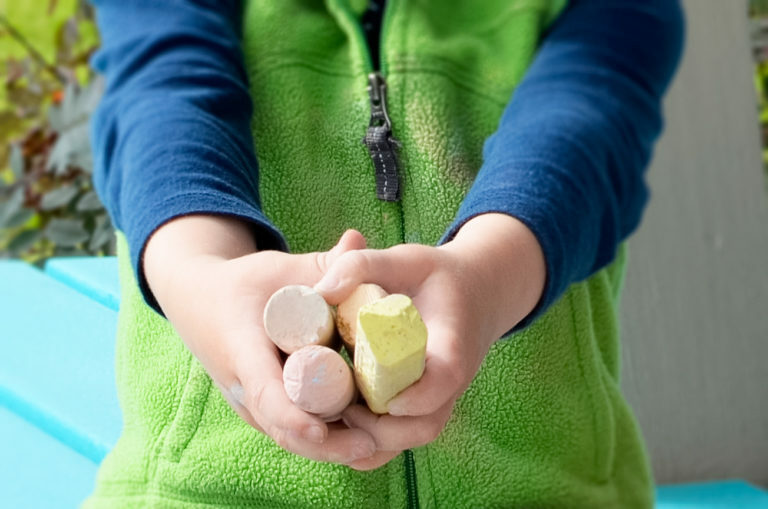 Do you want to make a big difference in a little person’s life? 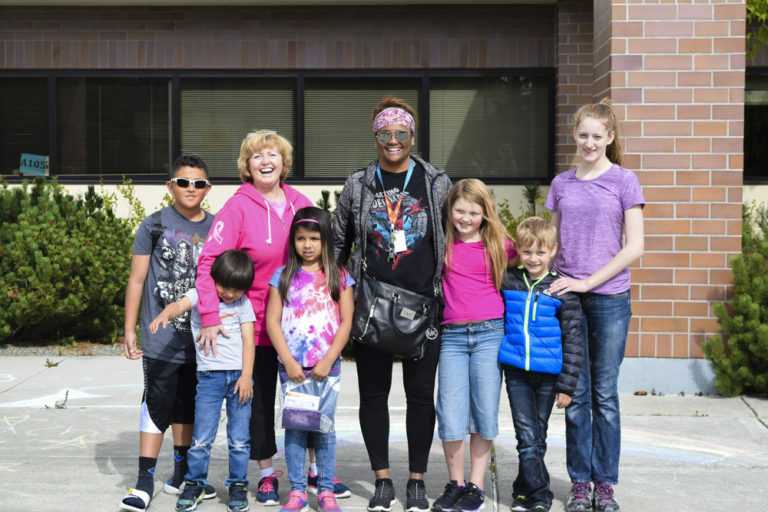 Students at Community PLUS Schools need mentors, tutors, coaches and activity leaders to help develop their skills. 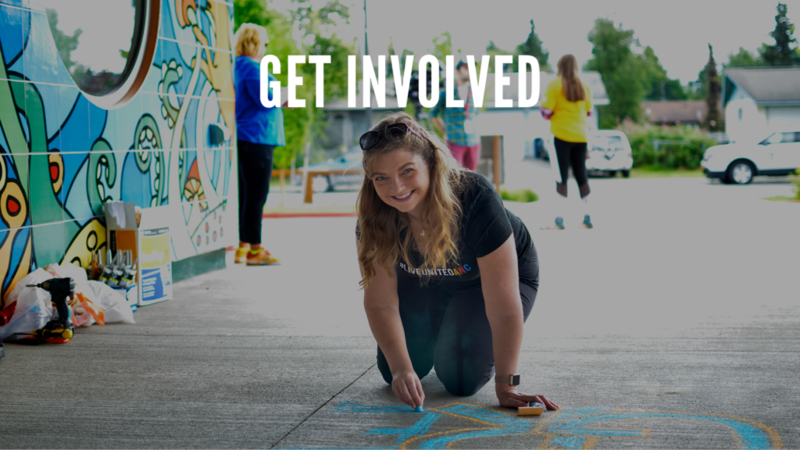 If you’re interested in being that person, visit BeTheChange907 or contact Kelsey Preecs to find a role that matches your schedule. 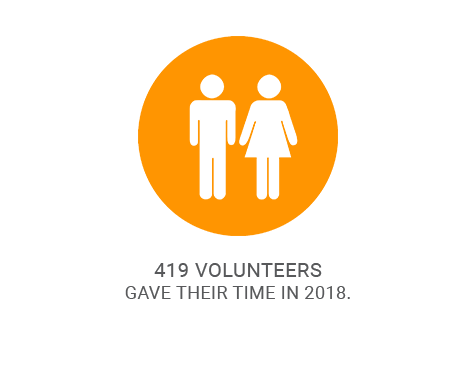 Want to get involved now? 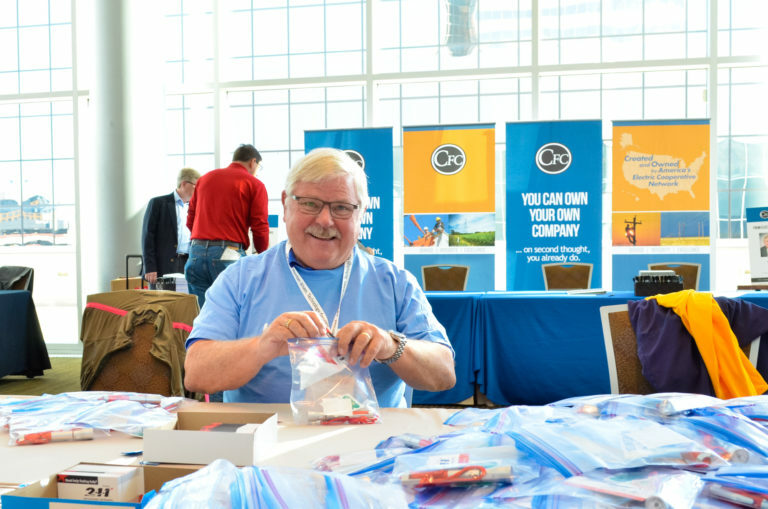 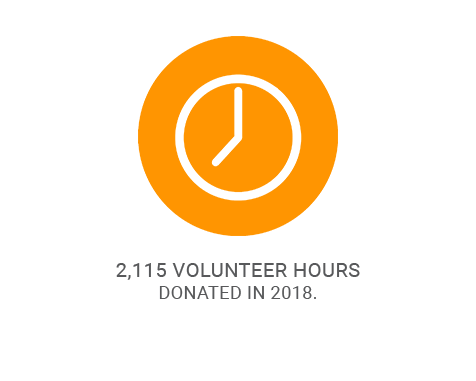 See current volunteer opportunities below. 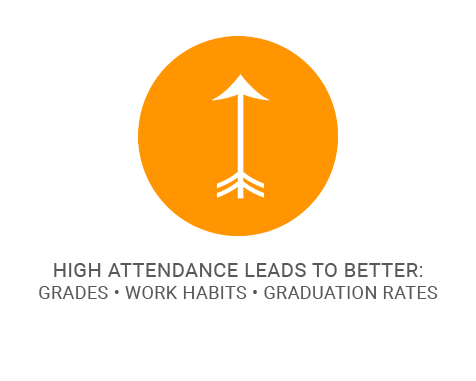 High attendance is the foundation for success in school and a key indicator of whether a child will graduate high school. 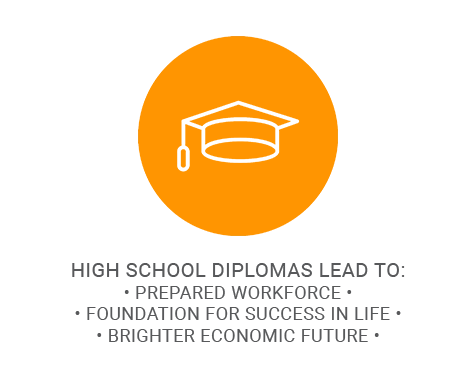 Businesses hold a strategic position to help spread the word and shape community perception around the valuable role we all play in helping students succeed- even if we aren’t parents. 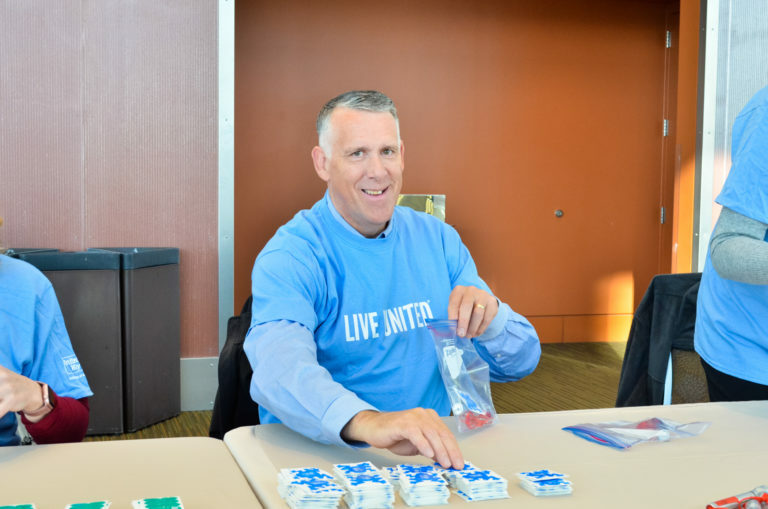 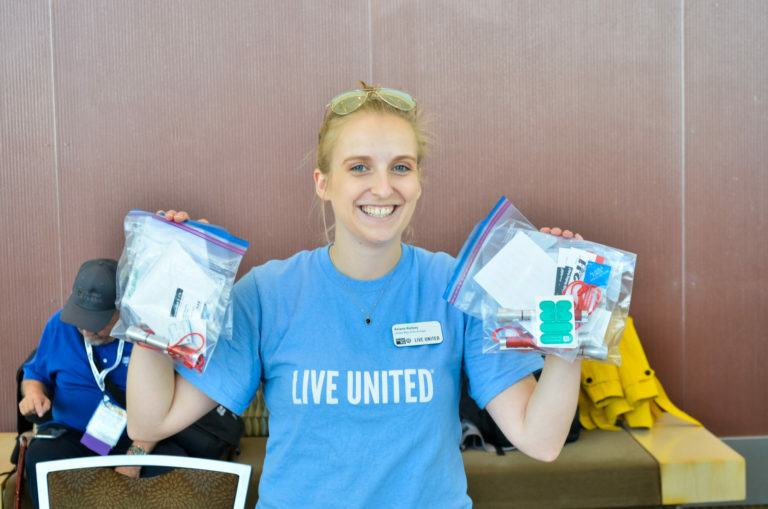 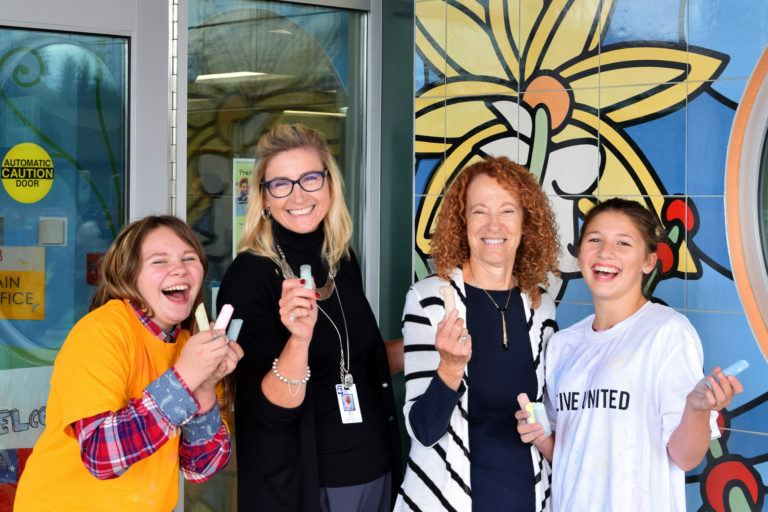 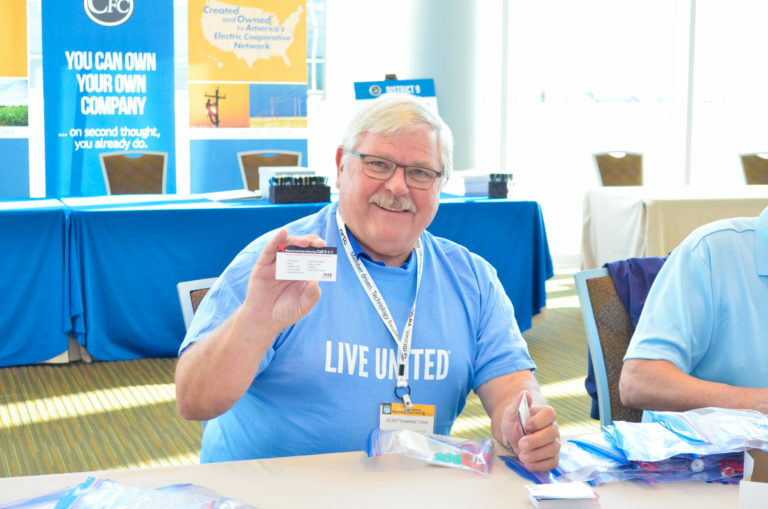 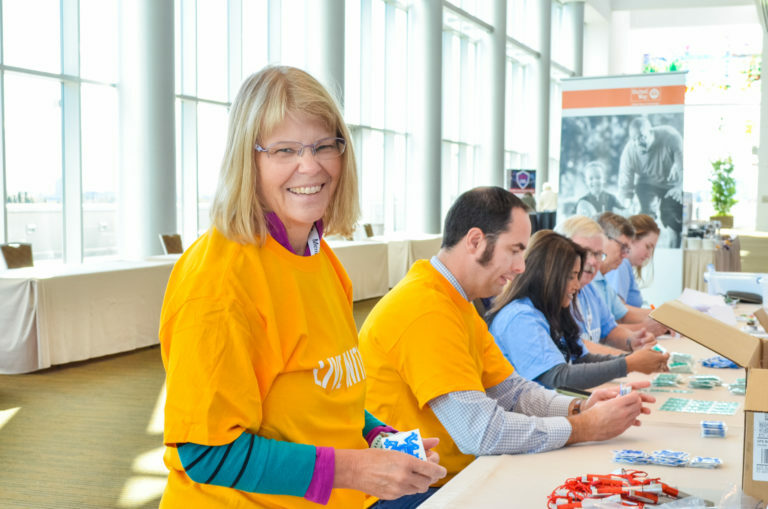 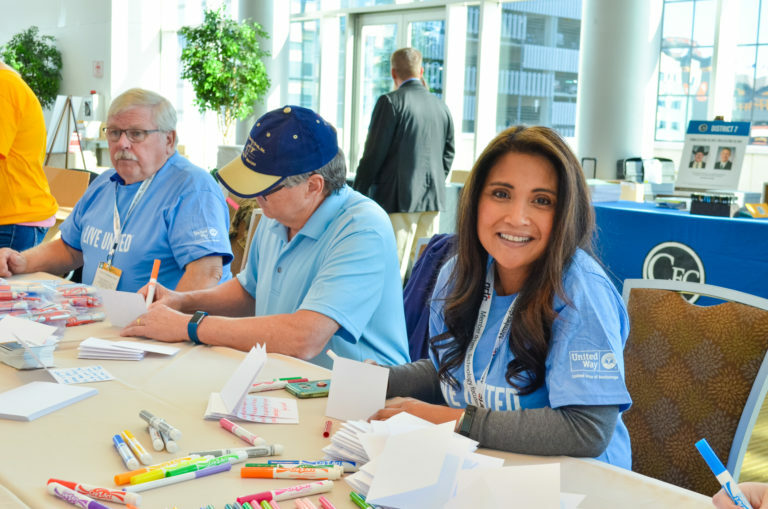 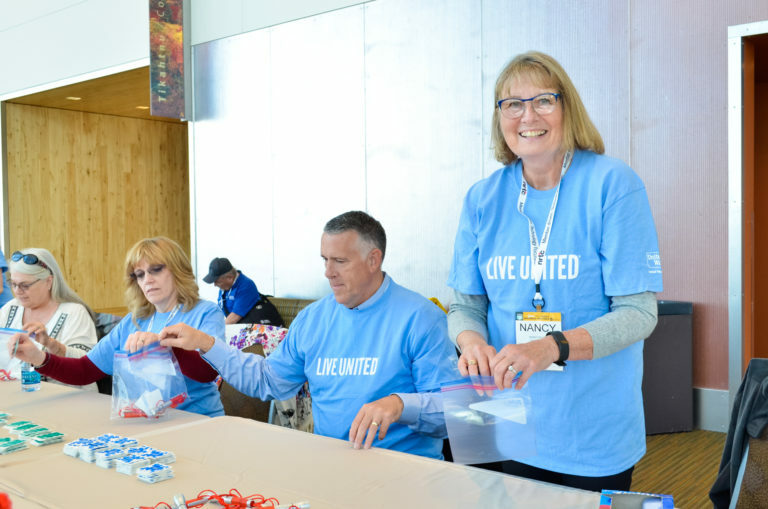 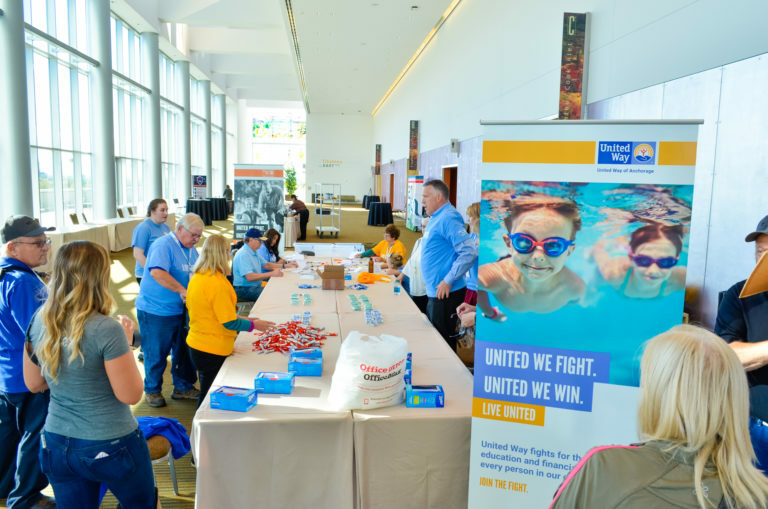 As part of the 90% by 2020 efforts to raise graduation rates, United Way of Anchorage runs the Attendance Champion program to get businesses in on the fun. 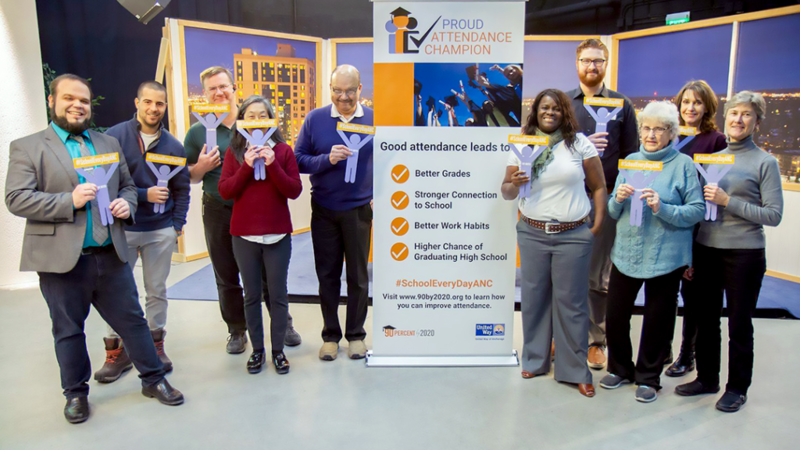 Attendance Champions help share the #SchoolEveryDayANC message with their employees and customers. 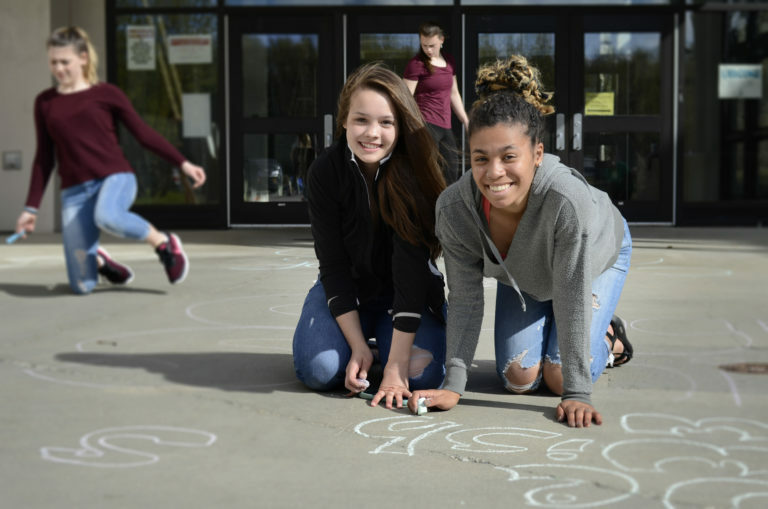 We have the message, you have the audience, so let’s get together to make a difference for Anchorage students. 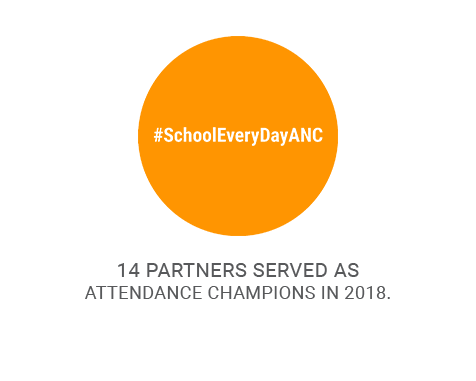 Click here for Attendance Champion social media graphics, promotional materials, and photo gallery. 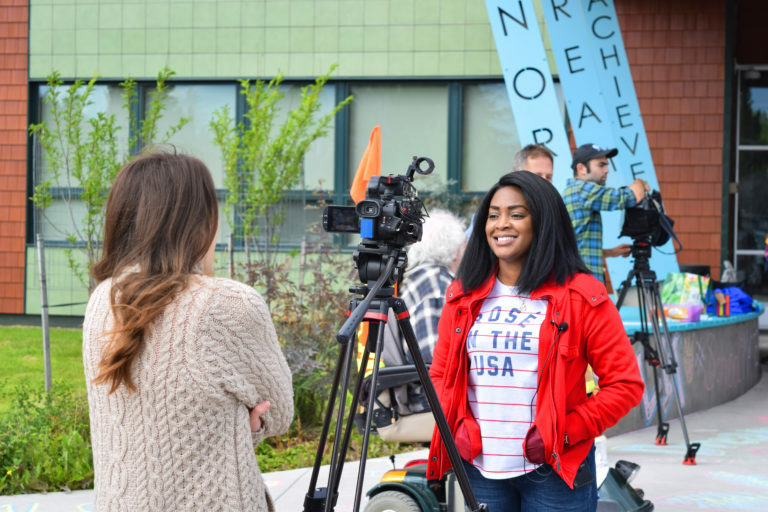 Contact Ariane Kelsey to get involved. 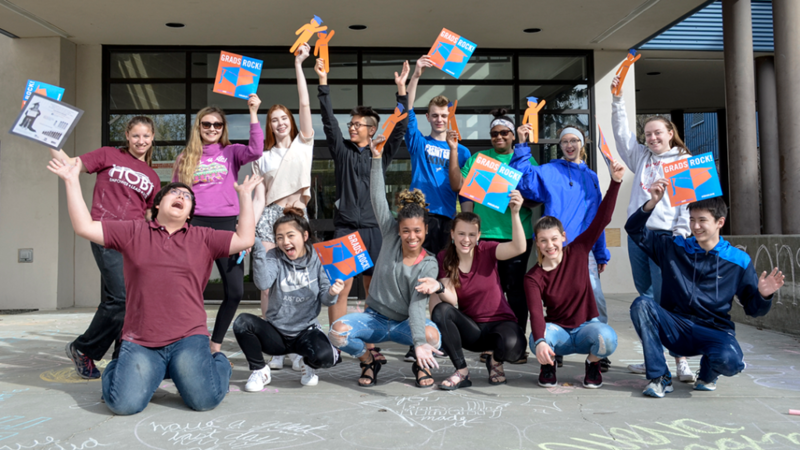 Our Graduation Station is fun, free, and easy! 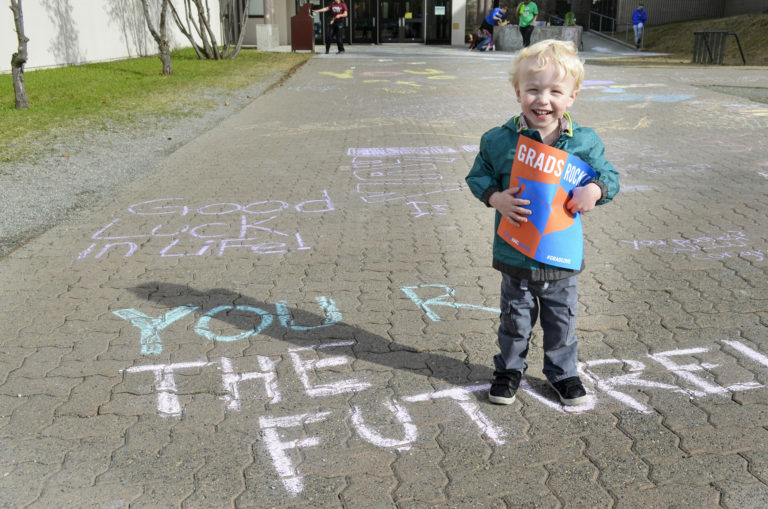 It’s never too early to get kids and their families talking about graduation. 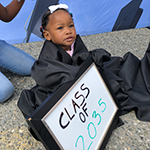 We created the Graduation Station for families to think about the future in an interactive way. 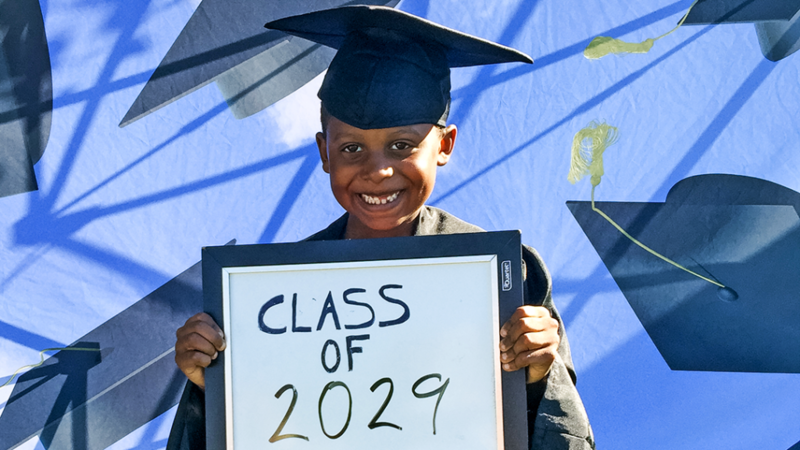 We bring the backdrop, the graduation caps and gowns, and the “class of” signs. 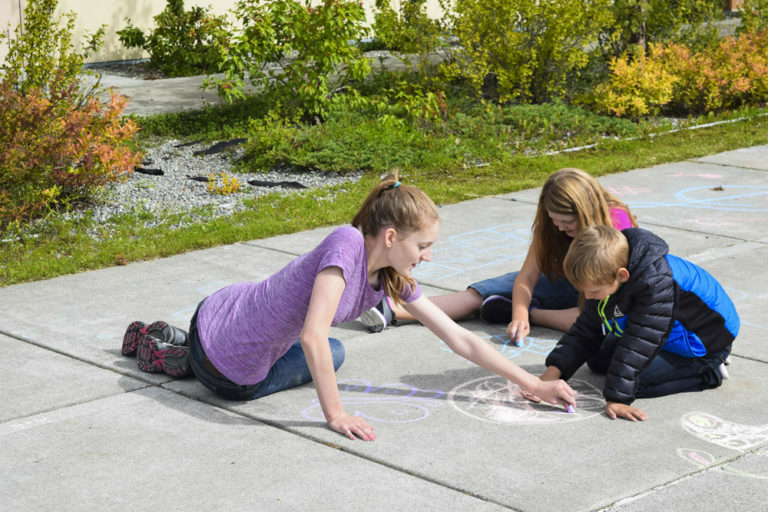 To top it off, we help parents get a great photo! 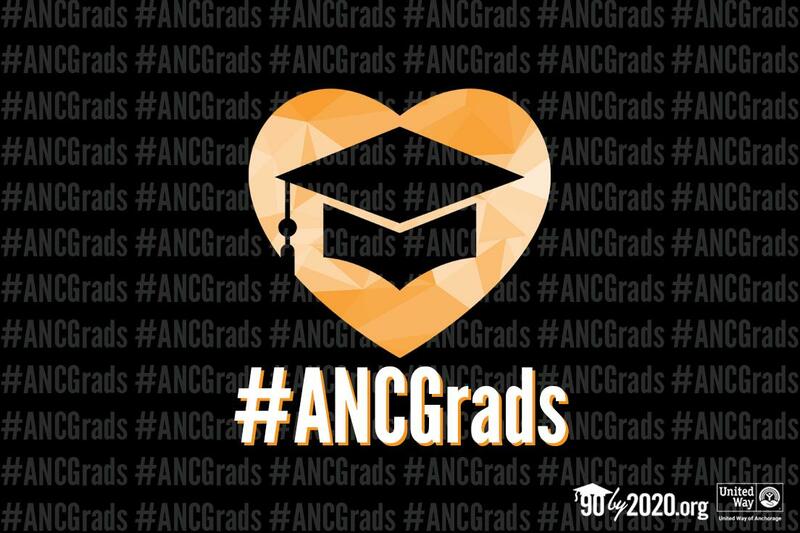 For more information about bringing the Graduation Station to your next community event, contact Ariane Kelsey. 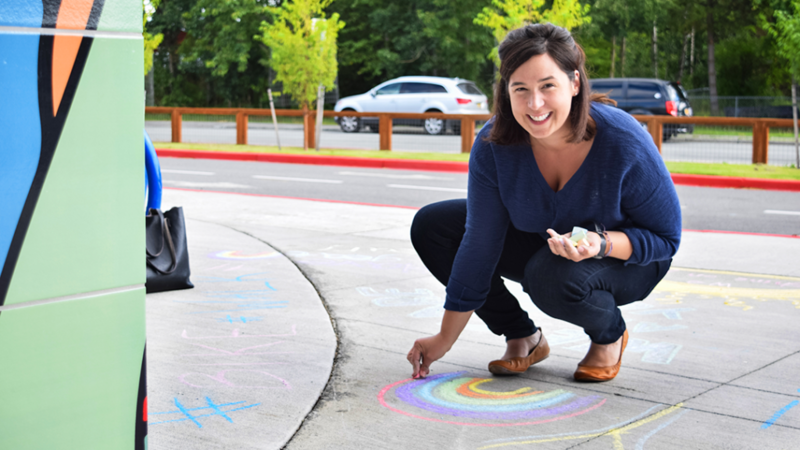 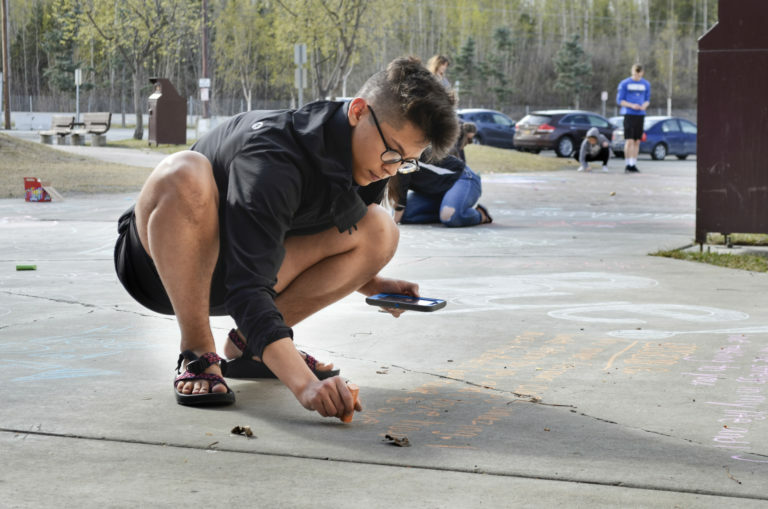 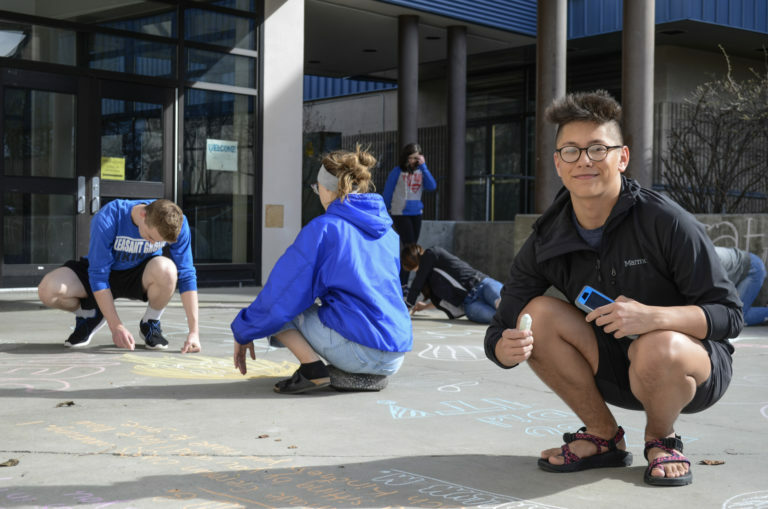 Community members from all walks of life come together to chalk the front entrances of our Community PLUS Schools with messages of hope and inspiration. 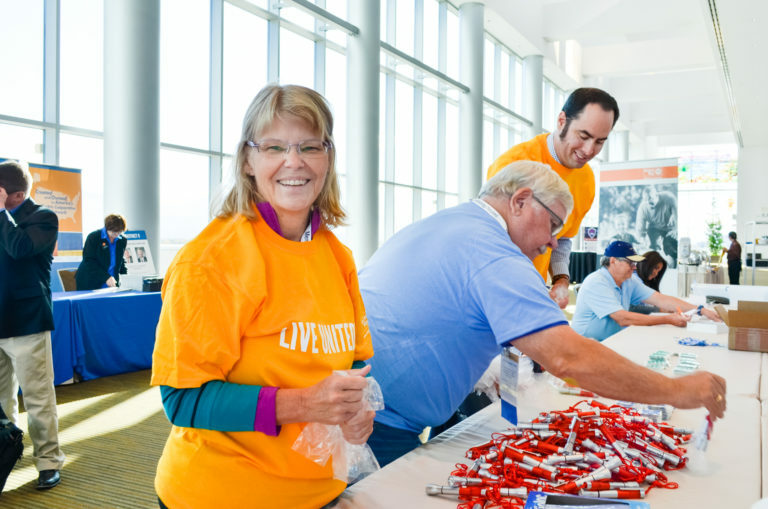 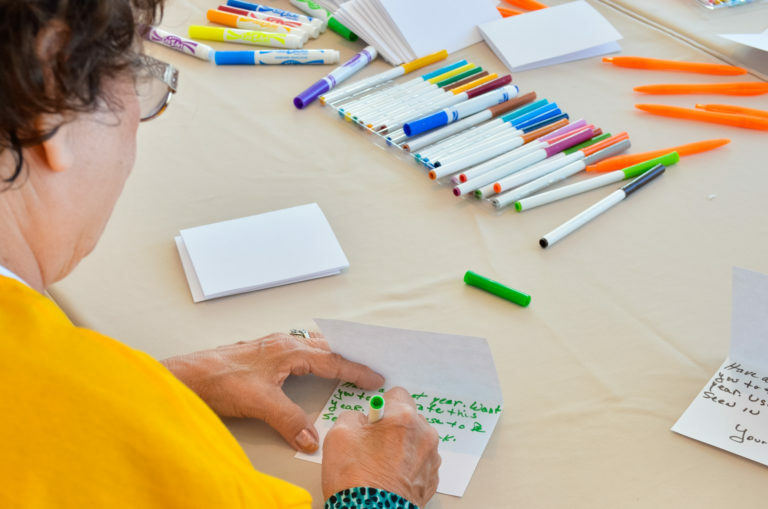 Check out some of the amazing artwork in the photo gallery and learn more on United Way’s Notebook. 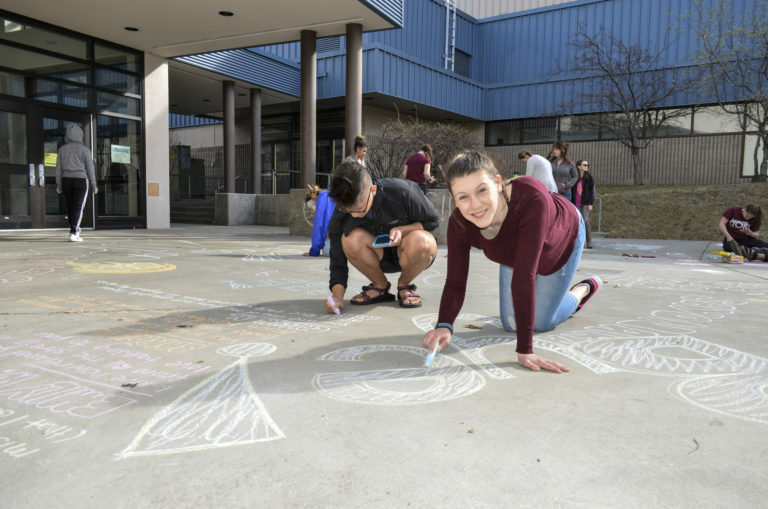 A collaborative community display to Anchorage high school graduates to show that we’re proud of their accomplishments and inspire future graduates to keep working towards their goals. 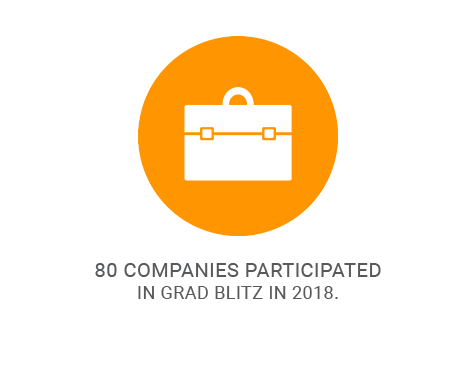 Check out the 2019 Grad Blitz toolkit, see who participated in 2018, or drop by the Grad Chalk photo gallery to get in on the fun.